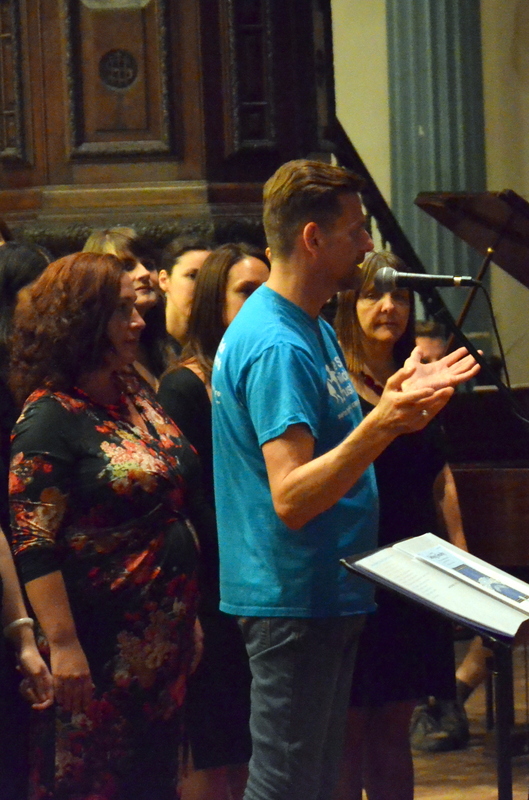 On We dnesday 9th July, Sing Tower Hamlets joined with the brilliant Marylebone Community Choir for their debut joint concert, in aid of The Sick Children’s Trust. 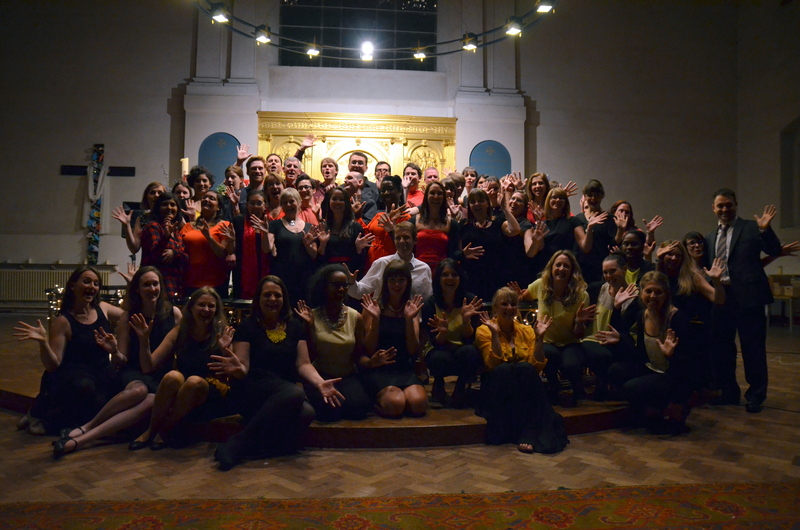 More than 120 people came along to watch the choirs perform at St John at Hackney. Amongst the audience were Alan Booth and Irma Cambron who run Stevenson House, the charity’s home supporting families with sick children at The Royal London Hospital. We are delighted to have raised a total of £2437.46 for Stevenson House, which includes generous match funding from Deutsche Bank. 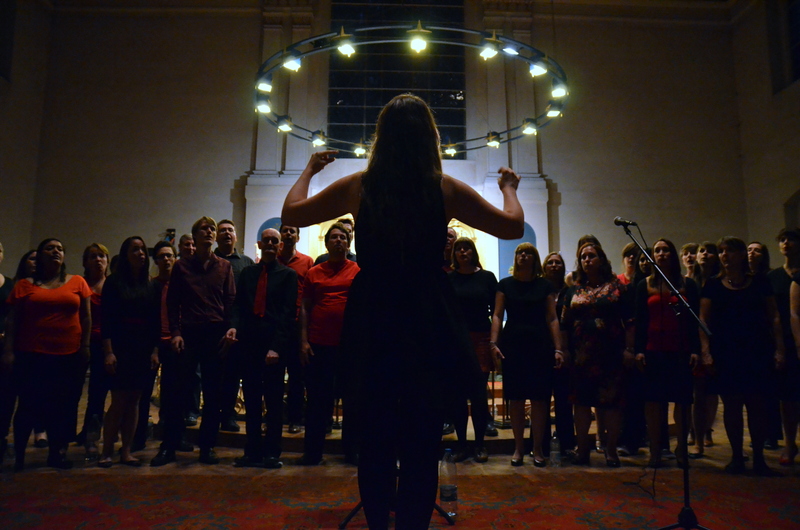 Thank you to everyone who came along to support friends and family in the choirs, and for enabling us to make this donation to such a great charity! The Sick Children’s Trust was founded in 1982 by two paediatric specialists who believed that having parents on hand during hospital treatment benefited a child’s recovery. Today they have nine ‘Homes from Home’ at major hospitals around the country where families can stay free of charge, for as long as they need whilst their child is undergoing treatment. In the last 30 years they have supported more than 40,000 families. You can find out more about the charity by visiting www.sickchildrenstrust.org. 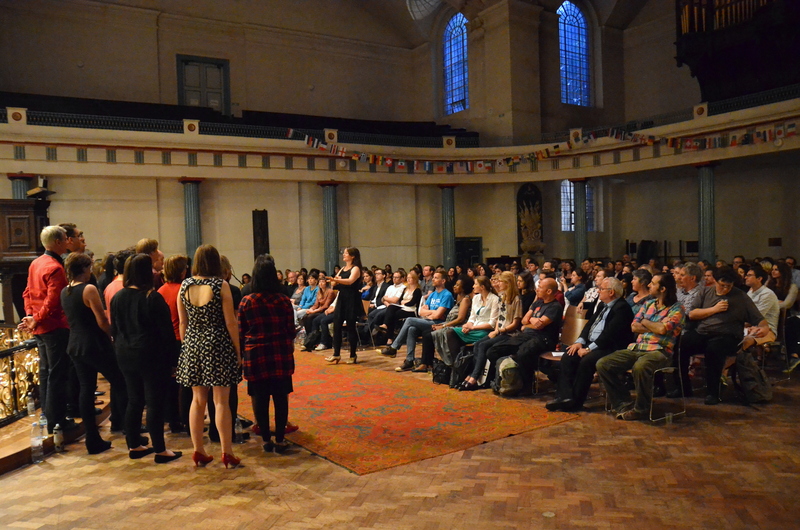 It was great fun performing alongside Marylebone Community Choir! 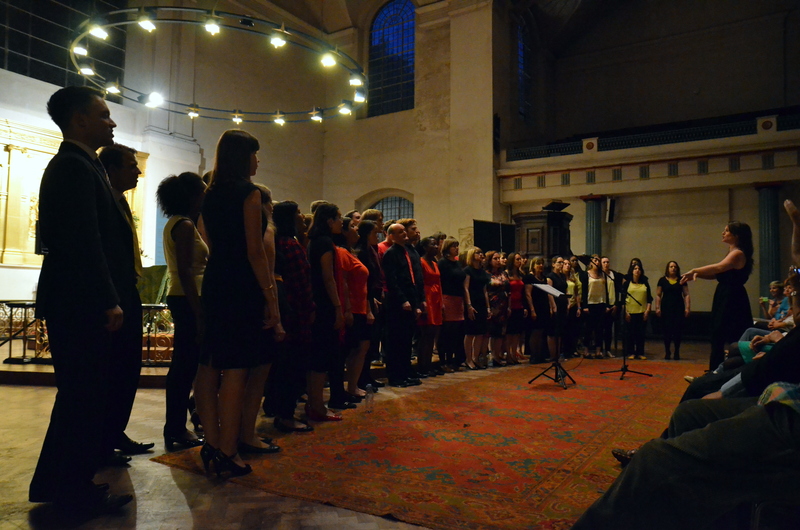 We met them back in April 2014 when we were both performing at the Southbank Centre’s Chorus Festival – and so began the beginning of a beautiful friendship! This was our first concert together with them – and hopefully not our last!